Jezza recovering thanks to PMC and Lort Smith. Warren and Jezza have been inseparable since they got together 8 years ago. Warren is on a disability support pension and has experienced homelessness and desperation but Jezza has been his constant support. Last year Pets of the Homeless assisted Warren to fund Jezza’s left anterior cruciate ligament repair for which he was enormously grateful. Sadly Jezza’s right ACL ruptured a month ago. Warren was still paying off a previous $800 vet bill at Lort Smith with $30 each and every fortnight. He simply wasn’t able to afford the cost of this $2,800 TWLO surgery. 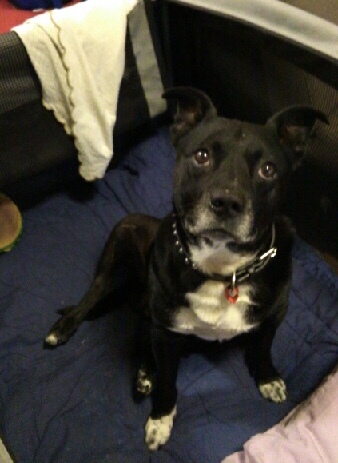 Pet Medical Crisis have been pleased to donate our maximum of $1,000 to enable Jezza to go to surgery at Lort Smith. Warren now has a $2,600 bill to pay off at $30/fortnight over the next 3.3+ years. His love for Jezza is absolute and he’s never missed a payment to Lort Smith who have been so good to this devoted pair. Look at those eyes, Jezza you beauty! Walt and his best buddy, beagle. Nugget. 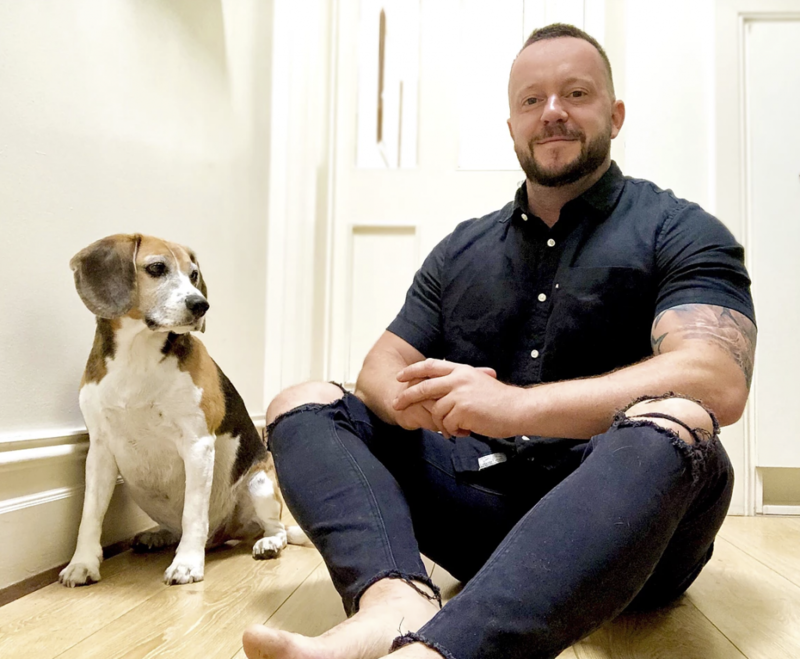 Pet charity appoints new ambassador to help raise vital funds to help pay for the vet bills of pensioners and disadvantaged Victorian pet owners. Channel 10’s weekend TV favourite Walt Collins, has been announced as the ambassador for the Pet Medical Crisis charity. It comes at a time where this much loved charity is being stretched to the limit with demand for the service at an all-time high. Pet Medical Crisis has traditionally worked quietly in the background, raising funds to help pay for the vet bills of pensioners and disadvantaged people- where quite often their pet is the most important, if only thing, in their life. 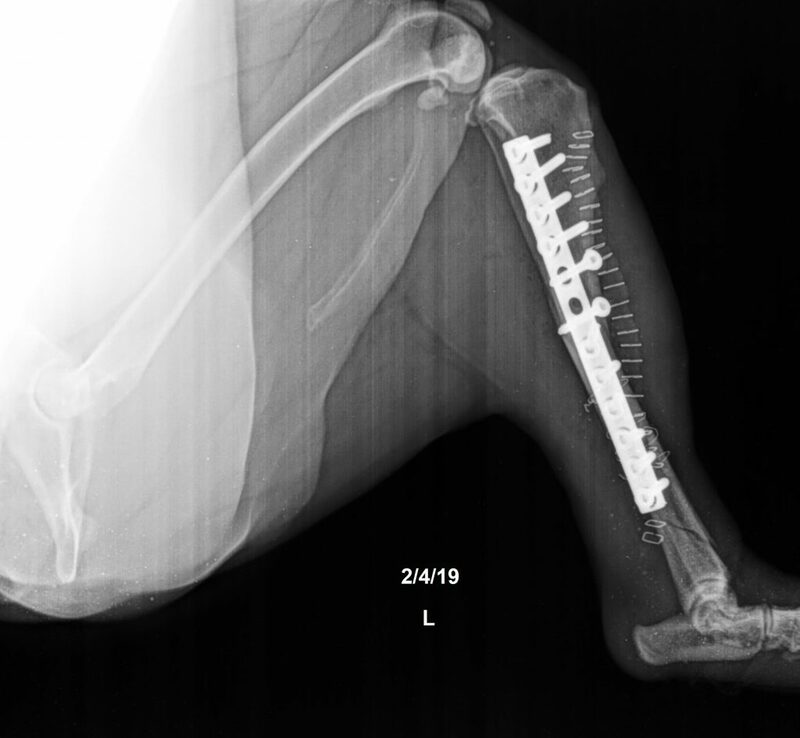 Now, more than ever, the registered charity needs a hand to help raise cash that is used to pay for vet bills and vital surgery that will help keep much loved companion pets alive. Donations are used directly to pay for the bills and for many families, donating to this charity means the difference to their pet living or not. Famous faces and their dogs gather for a fund-raising barber experience. Walt Collins is best known for his work as co-host of Healthy Homes Australia- Channel 10, host of Animal Extra – Channel 10 and host of Buy to Build- Channel 10. He is a popular face in the weekend TV space- being on air for more than 32 weekends of the year. Walt is a passionate animal advocate and will step into the shoes of their ambassador role by organising a huge fund raising day. Walt will fill a well-known Richmond barber shop with some of his mate’s famous faces and their dogs, each getting the most perfect grooming session. Imagine images of a dog in the barber chair with a barber cape getting a trim, sitting alongside his owner, in a cape, getting a trim! All proceeds made that day will be donated to the charity. “This is a great chance to raise some much needed awareness for this incredible charity. People don’t realise how important a little furry friend is, if you have nobody left in your life. It’s the key to helping stop loneliness, it could be the reason somebody gets out of bed in a morning. And if your pet gets sick, you’re left with a life shattering decision of not being able to pay for the bill that might save your animal” explains Walt Collins. And about the media call: “You’ll see some famous footballers, TV personalities and social media stars turn out with their dogs to get a fresh cut at the barbers. I’m pretty sure it will be absolute chaos, but I wouldn’t have it any other way” he adds. For many people who donate to charity, it’s important to know that the money goes directly to help the animal in need and not the animal’s owner or the charity administration. The Pet Medical Crisis ticks all of those boxes. 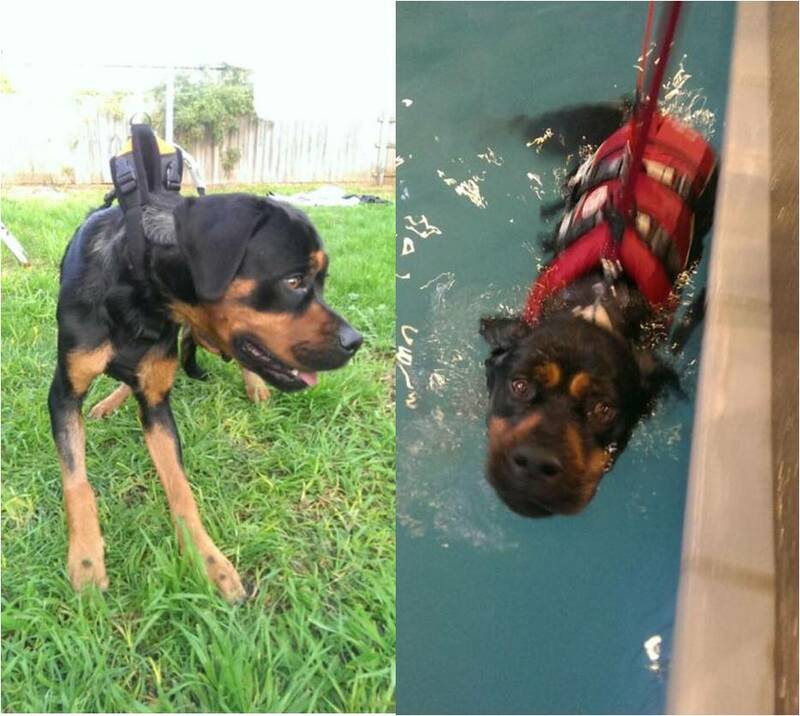 ROTTWEILER-LABRADOR cross Leon will one day walk again after the Pet Medical Crisis Fund and a local vet tipped in to pay for his surgery. The Endeavour Hills family pet was left fighting for life after his deformed spinal cord caused him to lose the use of his legs. The dog’s owner Jenny, who did not want her surname published, was told by two veterinarians it would cost more than $5,000 to save her beloved pet. But it was a bill Jenny could not afford. “As a single mum, I could simply not afford all the costs and I didn’t want to put Leon down,” Jenny said. 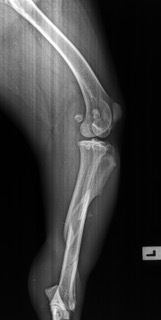 “He got worse and the vets told me you have to make a decision. On Jenny’s third attempt, Dr Arthur House, from the Hallam Referral Centre, answered her prayers. 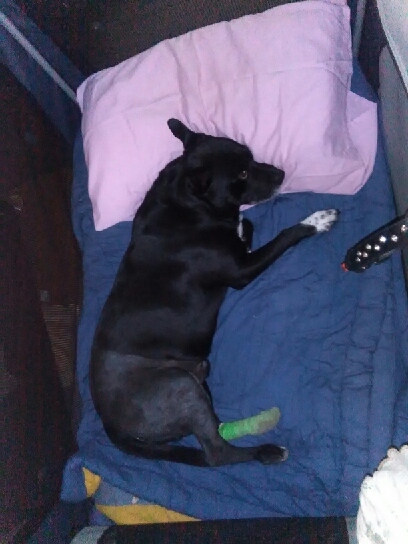 The Princess Highway vet put Jenny in contact with the Pet Medical Crisis Fund who raised $2,600, in addition to Jenny’s brother’s $1,500 contribution, which left Jenny with $2,000 to pay for the operation. Support from Dr House, the Pet Medical Crisis Fund and the Facebook community, has blown Jenny away. “It has been incredible for us, particularly the kids, to know that other people supported us,” she said. “Leon is a mate for Jess and Olivia, a guard dog and a protector of the house. Helen Wade with her border collie Cassie. Picture: Tanya Fry. WHEN Helen Wade first set eyes on playful pooch Cassie, she knew the then five-month-old border collie was the right fit. The Langwarrin woman was looking for a mate for her Maltese cross Toby and Cassie’s gentle nature was the recipe for a paw-fect union. But a niggling worry about what Ms Wade ­described as a “washing machine sensation” near Cassie’s heart confirmed her worst fears. Just over a year after bringing Cassie home, tests found the dog had a hole in the heart and would die within two years without ­urgent surgery. An animal lover, Ms Wade was reeling over both the ­diagnosis and the cost of surgery, which ran into thousands of dollars. But a plea to the Pet Medical Crisis Fund saw the ­organisation kick in $1000 to make the surgery possible. The fund helps pensioners and disadvantaged pet owners who cannot afford surgery to keep their pet alive. Fund head Jennifer Hunt said Cassie was an important part of Ms Wade’s life. “They saved Cassie’s life. That was a lot of money to come up with,” Ms Wade said. Both Ms Hunt and Ms Wade praised vet Richard Woolley for his work to save Cassie’s life. 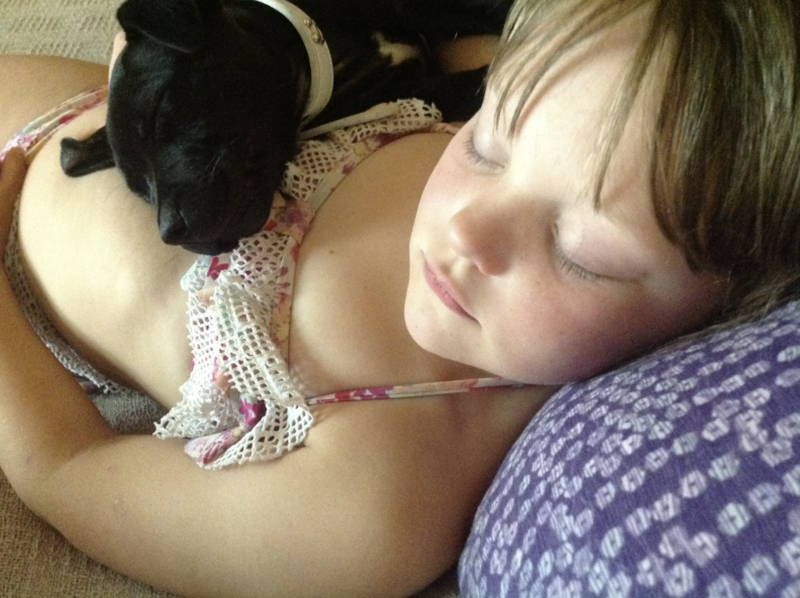 WHEN blue heeler cross Freya was ill, her best mates Meaghan and hubby David feared their beloved pooch had heatstroke. But when Freya refused to eat or drink and was disinterested in her family, they knew it was far more serious. The Toogarook couple took Freya to Peninsula Vet Care Rosebud, where Dr Dr Ben Porter discovered the source of the problem during an examination — a nectarine pip possibly dropped by a bird in the family’s garden. 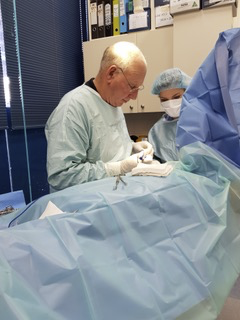 Dr Porter said the pip had been stuck in Freya’s small intestine before it was removed during surgery under full anaesthetic. 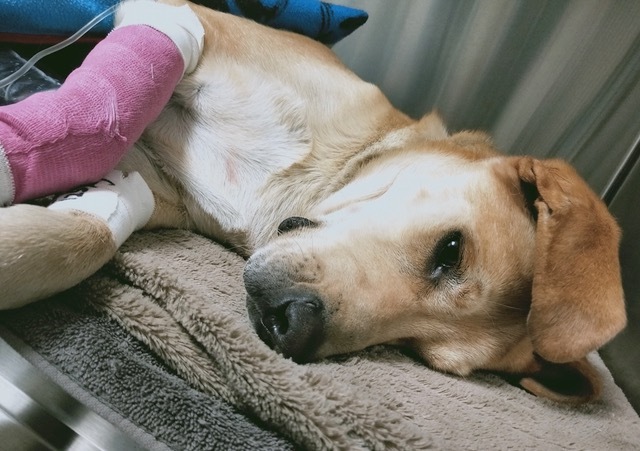 He said Freya — possibly the toughest dog he had ever come across — had made a full recovery post surgery. For Meaghan and David, there was no question about going ahead with the operation — despite still paying off vet bills for other treatments. The Pet Medical Crisis Fund (PMCF) — a not for profit, volunteer run charity, that assists disadvantaged pet owners who cannot afford surgery to keep their pet alive — stepped in with $1000 to help with the latest bill. Fund head Jennifer Hunt said Freya was an important part of her family’s life. “It is the generosity of the public and our Facebook community that enables this work to be done,” she said. WHEN four-year-old black Labrador Fergus wants to “smooch” owner Andy, there’s no holding him back. The pair share a close bond and Fergus likes to show his love for Andy. “A big kiss on the face is a treat,” the Frankston man said with a broad smile. “He is very friendly, big and crazy,” Andy added. But once four-year-old Fergus — Andy’s seeing eye dog — gets his harness on, there’s no messing about. Andy, who is blind, recently got a shock when he realised Fergus was seriously ill.
“He would not get out of bed — normally he is jumping around,” Andy said. A trip to the vet confirmed the worst with two tumours found in Fergus’s stomach. “It was horrible. He is my guide dog and he is also my best mate,” Andy said. Andy was particularly upset because he could not afford the veterinary surgery. The Karingal Vet Hospital stepped in with a discounted rate and the Pet Medical Crisis Fund (PMCF) also kicked in $1000 to help out. PMCF Jennifer Hunt said the organisation was keen to help, particularly as Fergus was Andy’s seeing eye dog and constant companion. “Fergus came through major surgery and had two large tumours removed from his intestinal wall,” she said. Andy was rapt with the support from the PMCF — a not for profit, volunteer run charity, that assists disadvantaged pet owners who cannot afford surgery to keep their pet alive. “It’s amazing there’s good people around,” he said. Andy still needs to find about $1000 to pay for Fergus’ operation.